Once the Terror was finally over, the survivors felt the need to celebrate and live life to the full. The following years were marked by an outbreak of luxury, decadence, and even silliness. But the past couldn’t be easily forgotten. Perhaps it was the need to exorcise it that prompted many women to create and wear fashions inspired by the Terror. 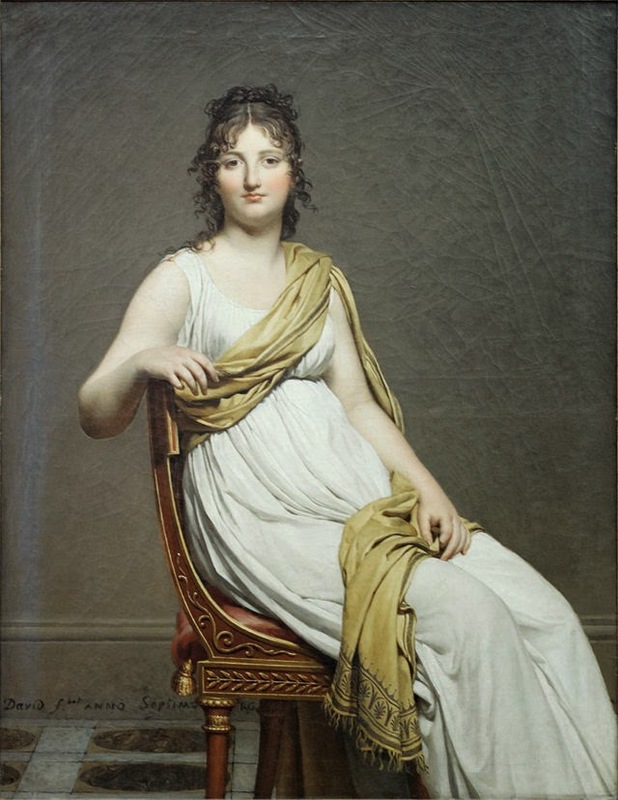 These women were called Merveilleuses and, among their leaders, were fashion trendsetters Theresia Tallien and Rose de Beauharnais, both of which had narrowly escaped the guillotine thanks to Robespierre’s fall. A lot of victims, including Marie Antoinette, went to their deaths dressed in plain white dresses and chemises. After the Terror, white muslin and gauze gowns, low cut and almost transparent, became very popular. Some women, to make the loose dresses better adhere to their curves, liked to damp them with water! Others finished off the look with a generous dusting of white powder to their faces and decolletes to look like corpses or ghosts. 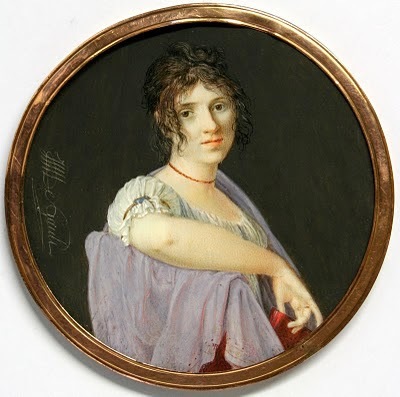 This trend was inspired by the tragic execution of Emilie de Sainte-Amaranthe, who was condemned with her family on trumped up charges of murder. They were accused of plotting to kill Robespierre, but it was their royalist sympathies that sealed their fate. At their execution, Emilie and her family wore red, the colour of murderers, or would be murderers. Her beauty and her courage made an impression on the crowd and soon, women started sporting red scarves. 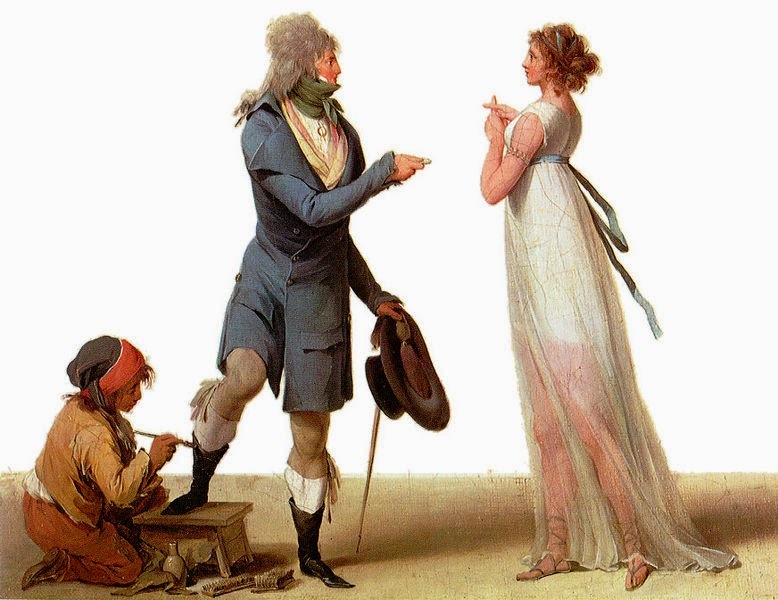 To facilitate the truculent job of the guillotine’s blade, victims’ hair was cut short. 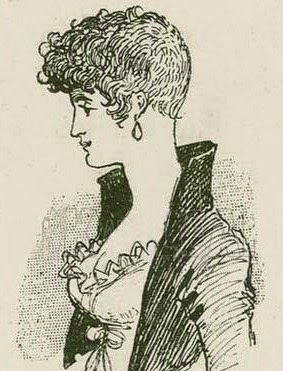 The practice inspired the coiffure à la Titus, a hairdo that was long at the front but cut very short at the nape of the neck. Tendrils of hair were, with the use of scented pomades, messed up for a chic, dishevelled look. 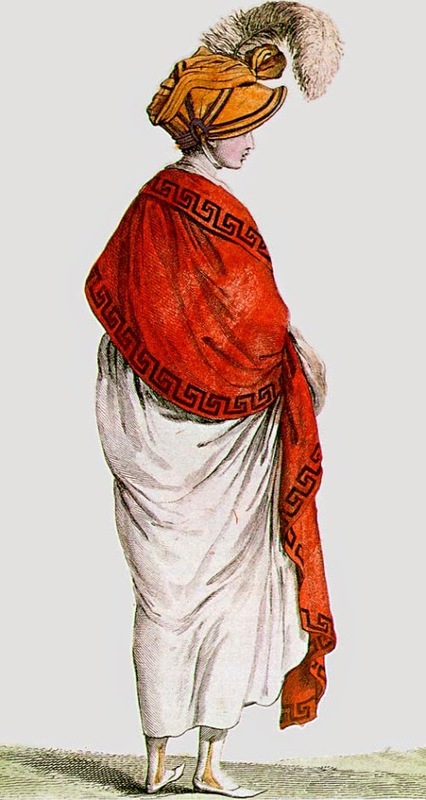 White muslin gowns and scarves loosely wrapped around their bodies were reminiscent of the tunics worn by the ancient Greeks and Romans. So it was only natural that shoes followed the same trend. Greek-style sandals, tied above the ankle with either crossed ribbons or, if you were wealthy, a string of pearls, became all the rage. The award for the most macabre and distasteful trend inspired by the Terror was the thin red chocker. Made of ribbon (if you were poor) or rubies (if you were rich), it was meant to imitate the droplets of blood around a severed head!